« Happy Cinco de Mayo, Everything Taco! Long hours at the office making it hard for you to get a good meal on the table during the week? Stressed out because it’s your turn to host the dinner party and you absolutely have no time to plan a menu or shop, let alone prepare for what feels like an impossible task? You might ask, really? Does this type of service actually exist? The answer is yes. 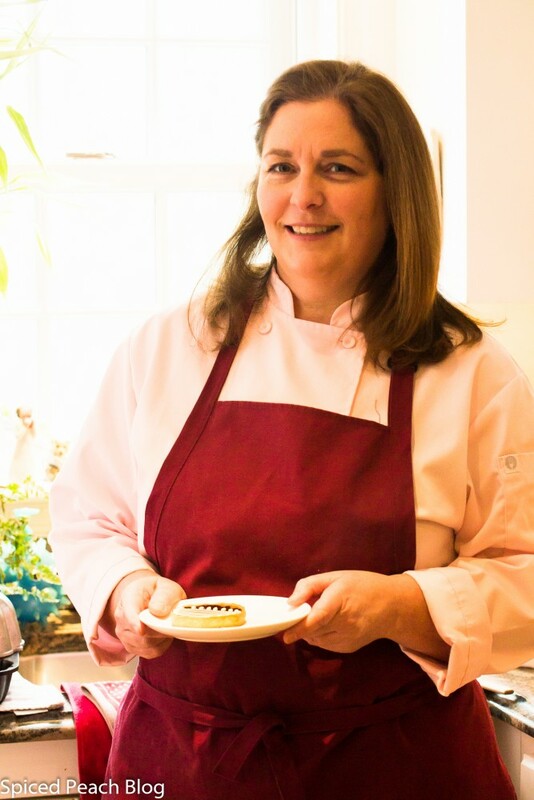 With extensive experience at high end restaurants over the course of nearly fifteen years, professionally trained Lindquist now owns her own Personal Chef Service cooking meals around the Philadelphia region for anyone from busy professionals who want a good, healthy, home cooked meal in the comfort of their own kitchen, to moms balancing children’s hectic family schedules, single dads needing a home cooked meal while sharing time with their children, those looking for a more personal touch in a dinner party, and then, well then, any other among a diverse range of situations and food preparation requests of varying clients in between. Today, although Lindquist’s extensive professional culinary experience lends a natural skill preparing foods at very high caliber, the goal with Cook on Call is much less pretentious, more geared to healthy, nutritious meals, even with intended simplicities such as bringing a family together at the dinner table once a week. Meeting Lynn some months back at the party of my shared backyard neighbor, her brother, Steve and his wife, Patie, of course, inspired immediate intrigue, followed by an eager inquiry on sharing Lynn’s story on Spiced Peach Blog. 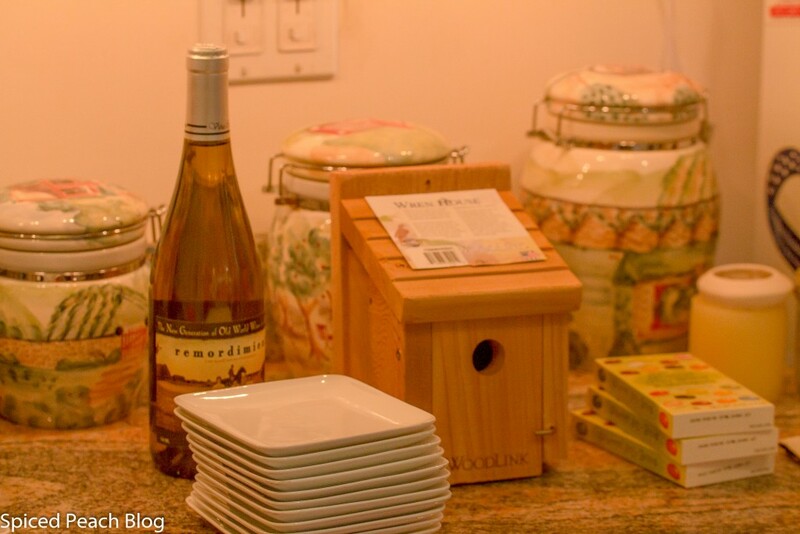 I recently had the opportunity to go out to the home of Chef Lynn Lampe Lindquist and interview her. Deeply set sparkling eyes and a warm smile match her kind nature of hospitality while still maintaining that certain organized precision one lends towards in professional cooking. Lynn greeted me on the day of our meeting at the door adjoined to her small charming kitchen, whose sweet scent filled the air with assorted freshly prepared classic pastries lined along the counter each in various stages of glazing, icing, or awaiting more technical, decorative touches. Lynn began sauteing scallops to a perfect finish before simply setting these on top a colorful mound of mashed butternut squash sharing an example of the simple type preparations she provides on the tables of her customers, though this particular dish, according to Lindquist, was the special treat for an area couple that upon request, she literally prepared for them on a regular basis over the course of nearly a year. After our interview and photograph session Lynn and I sat down and shared this dish, and I’ve no doubt on this couples desire for continual repeat performances. Keeping modern in presentation, Linquist’s intrinsic style forms around her commitment to the fundamentals as she continually instructs her students as a part-time Culinary Director of Baking and Pastry at Delaware County Community College, reminding them, in this age of culinary battles on food television programs, that they may branch forward creating anything inspired within them, once that is, that they have mastered the basics, the classic fundamentals, “foundation before expression,” as she says. Lynn’s commitment and enthusiasm toward her students is clear, a certain special excitement, her smile widening as she speaks about them even with an almost motherly instinct, one loving, but stern, insisting on a real- life strong work ethic, encouraging towards having the open willingness to always learn, and insistence to practice, practice, and practice, to perfect technique, and then, work ones way up, earning success. Bits and pieces of whimsy share space in her older, original classic style kitchen equipped with treasured real wood cabinets and black matched iron work hardware all blended between the more serious elements of cooking spoons and heavy duty cooking and baking equipment that all combined provide a sort of airy aura to a visitor, this special feeling that life is embraced here with love, and to Lynn Lampe Lindquist, it was indeed the simple act of cooking and baking while growing up that was her way of telling others that she loved them in her own way, a means of showing others she cared. Today Chef Lindquist is also a proud member of the Personal Chef Association, an organization where Lynn has had the opportunity to share current events in the industry, socialize with other colleagues, develop friendships, and also perform collaborative charity works such as cooking for Aid for Friends, the USO, and Gift of Life Donor Program, preparing meals for those families of loved ones in waiting for organ and tissue donation. An admitted homebody well into adulthood, Lynn shared the path of college after high school, still not really knowing what she wanted to do with her life. With a continued passion in food, Lynn liked the dream of going to the Culinary Institute of America in New York but simply was not ready to leave her family to do so. 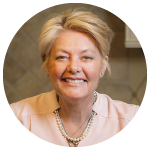 Eventually, with lots of encouragement from friends, and later with the love and support of her husband, always observing that bright light shining both inside and out when Lynn ever spoke about food, she was able to reach within and make that leap of commitment. Lynn continued to grow in her work, and the exploration of what was always her passion since childhood, working in food, the culinary industry. As Chef Lindquist grew older and busier in her married life there was only that final link remaining for her to choose, one that would afford her more convenient, flexible hours, and a more ongoing reasonable proximity to home. The final answer was determined after taking a weekend course at the Culinary Business Academy in Cherry Hill, New Jersey, the topic: How to Start a Personal Chef Business, and the rest is now history. 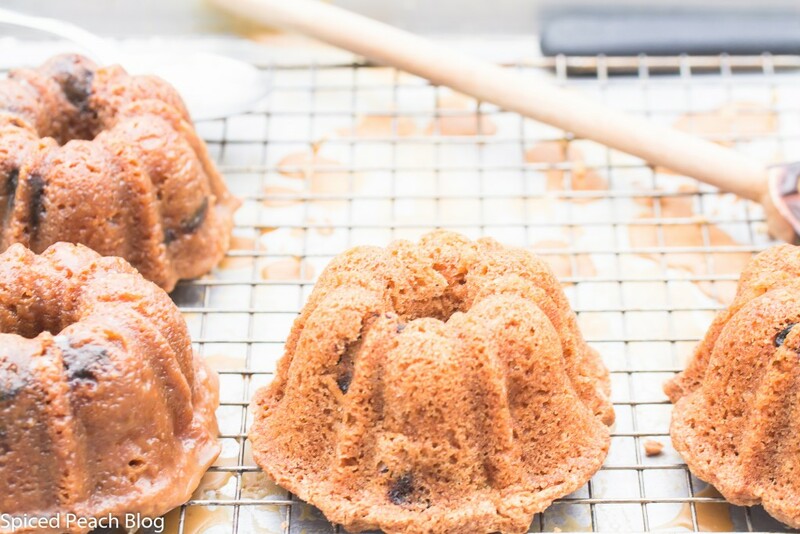 This entry was posted in Artisans- Farms -Markets-Chefs- Journeys and tagged Cook on Call, Lynn Lampe Lindquist Cook on Call, Personal Chef Services. Bookmark the permalink. Post a comment or leave a trackback: Trackback URL. 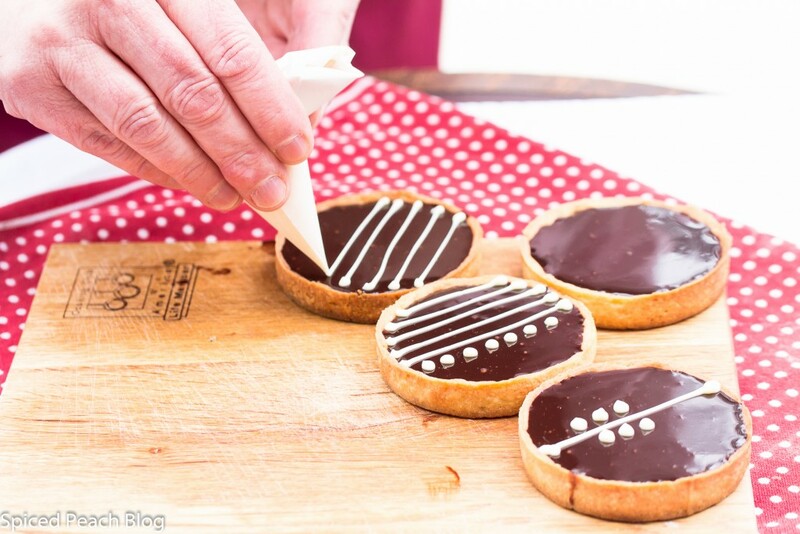 What a fun and fascinating way for Chef Lynn to use her skill and training. Loved the article and pics. Scallops are a favorite of mine. 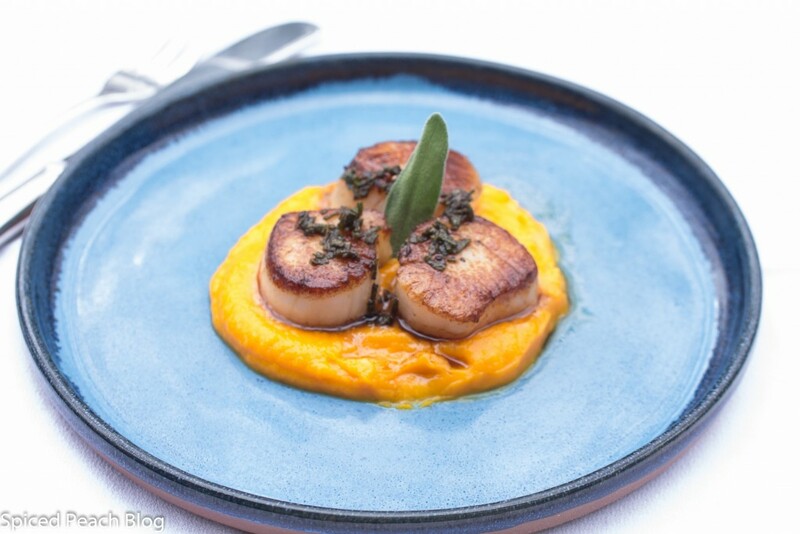 I plan to try to recreate Lynn’s scallops with mashed butternut squash this weekend. Thanks Jay, it really is a terrific business for Lynn while utilizing both her skill and training, she really is an interesting and fantastic person. The scallop on the butternut squash- very outstanding. Wow, terrific post. Chef Lynn has really had an interesting journey. The Cook on Call business seems like it would be in high demand with people being so busy and still wanting to enjoy a home cooked meal these days. Alternatively, I think everyone could use a Cook on Call now and again. Thank you Joanne. Yes Lynn has had an interesting journey. Agreed, we could all use a ‘Cook on Call’ now and again! Great interview. Lynn seems very talented. I used to be a personal chef. I really enjoyed providing families and individuals with meals for their busy lives. Hi Marci, Lynn really is talented and lovely to go along with it. Wow Marci, I didn’t know you used to be a personal chef, but then when I see some of your food that does not surprise me and I always enjoy your selections. I can imagine it is quite rewarding providing meals for families and individuals in their busy lives! Thanks for stopping by. I love how a seemingly obscure opportunity can change your life. What a fascinating story! Thank you for sharing Chef Lynn with us and her story. 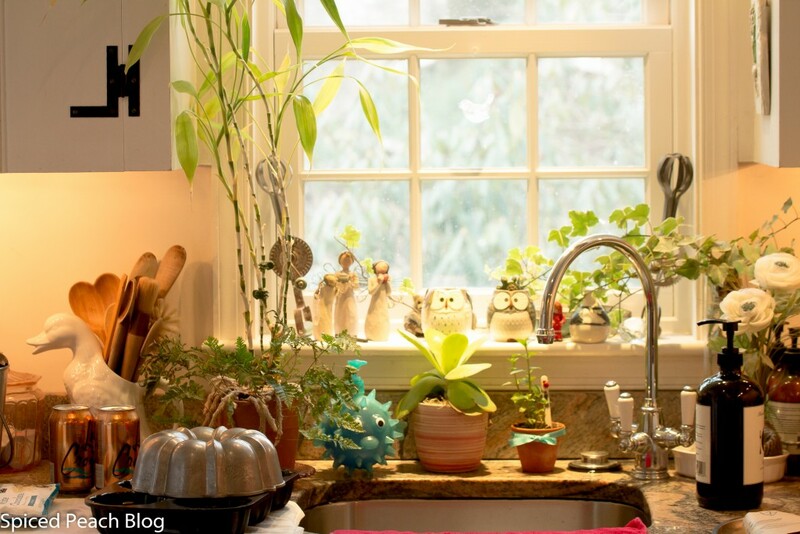 PS—Love the window area…whimsical, indeed. Pretty! Hi Kelly, I know so true on opportunities and thanks so much, Chef Lynn really is so terrific, and that whimsical window area really is so pretty! Wonderful post! 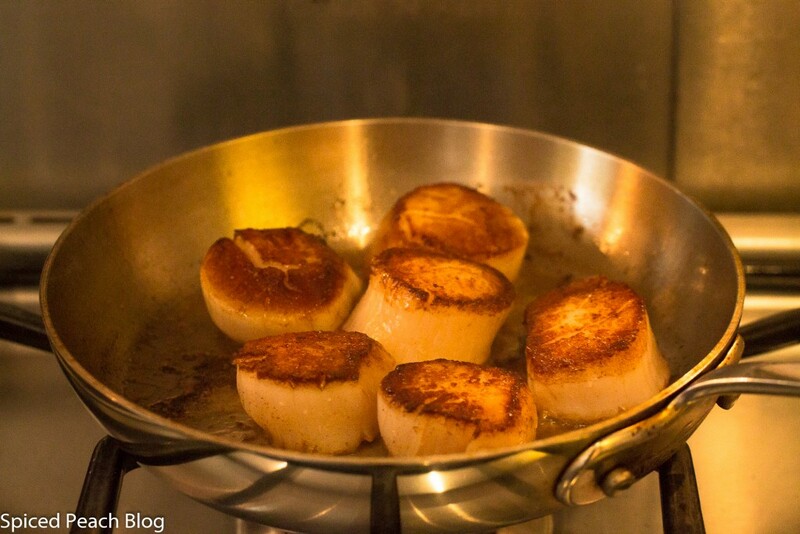 Mmmmm…..scallops. I could totally use a cook on call like Chef Lynn! Phil recently posted…Happy White People Getting Drunk Day! Cinco de Mayo! Hi Phil, thanks so much! I know, what a delicious scallop dish huh?!! Everyone could use a Cook on Call like Chef Lynn. 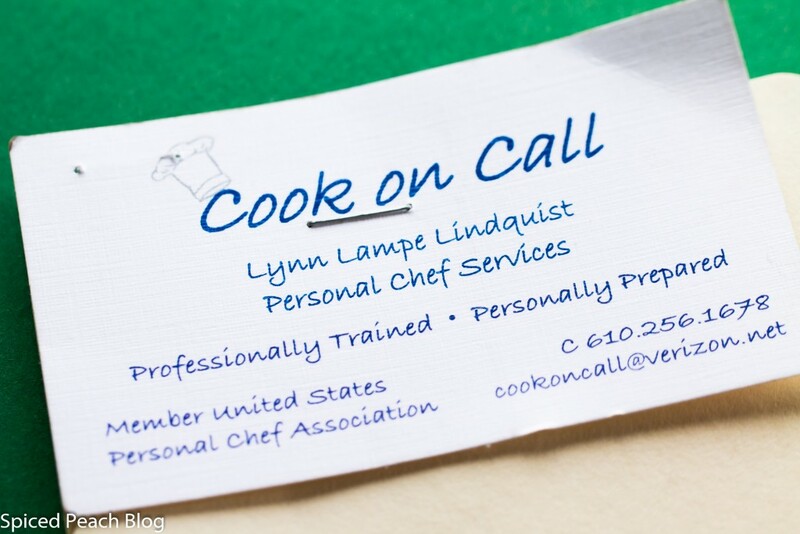 Dear Peggy, what a wonderful idea for a post – it was nice meeting the obviously very talented and dedicated Chef Lynn Lampe Lindquist this way – love all the pictures in this post, particularly the one from her lovely looking kitchen. The other day I met a “Call-a-Cook” in Cologne and he shared a lot of his recipes and experiences – not as charming as Lynn but I do like the concept of being able to call someone when in need of a fabulosu homecooked meal. 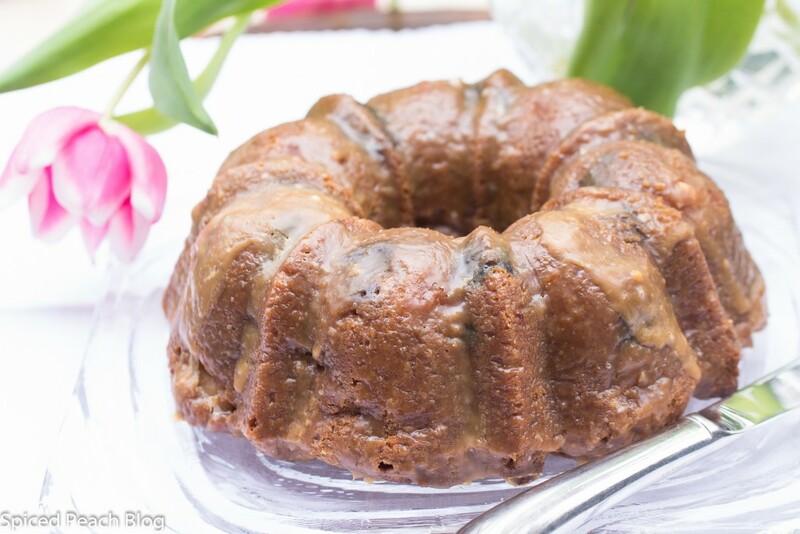 Hello Dear Andrea, I have been thinking of you the past couple of days having seen your lovely pastries while busily out and about over Mother’s Day weekend. Thank you on the post of Chef Lynn, she does have quite a lovely kitchen. Interesting on your recent meet with “Call a Cook” in Cologne, Lynn is quite charming but yes it is quite nice to be able to call someone when in need of a fabulous home cooked meal! Thanks so much and See you soon.